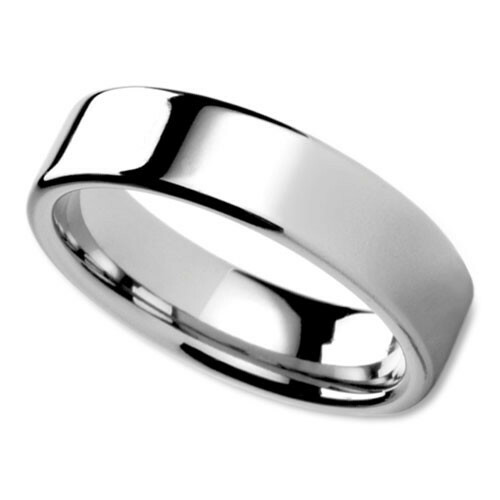 Shop at WeddingRings.net to buy a wedding ring at a very reasonable price, take up to 60 days to return your ring (no questions asked), and buy a ring that we will replace for free if it becomes scratched, dented, chipped, cracked, discolored, or simply doesn’t fit anymore. 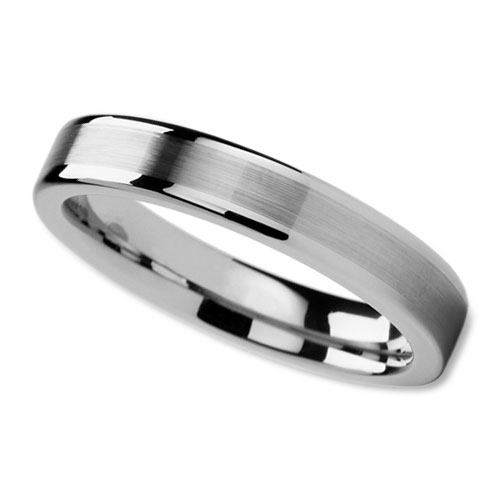 We offer a Lifetime Replacement Guarantee on many of our rings. If one of these becomes scratched, chipped, dented, cracked, discolored, or damaged in any way, we will replace if free of charge. If you lose or gain weight, or if the ring simply no longer fits properly, we will replace it free of charge. Read about and shop our Guaranteed for Life line of rings here. 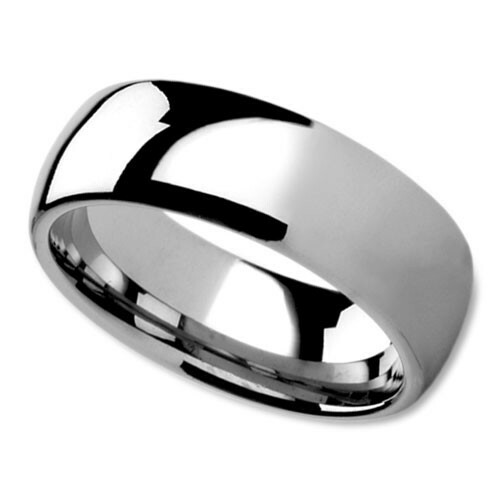 We specialize in selling wedding rings and wedding bands. In addition to carrying a large inventory, we represent some of the top designers and manufacturers in the USA and provide factory direct pricing. We have a large and varied selection to choose from coupled with one of the best return policies. Many of the rings that you will find in our site are offered with our Lifetime Replacement Guarantee which insures that if anything happens to one of these rings, we will replace them free of charge. Some customers are quite surprised to see how low our prices are compared to other online vendors and even ask us ‘how can we afford to sell at such low prices?’ We have partnered with USA factories that allow us to function as an extension of their business. As these factories cannot sell direct to the public, we offer the next best thing which is reselling their product line with a modest markup. 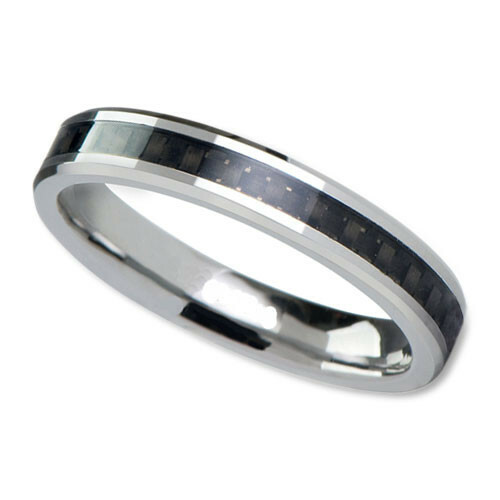 Our prices are significantly less than retail jewelry stores and usually anywhere from 10-50% less than other websites. As we are a small family run business, we are able to keep our profit margins low and sell at much lower prices than our competitors. All of our precious metal bands in 14K Gold, 18k Gold, Platinum and Palladium are solid metal (not hollow) and made in the USA. In fact, many of our rings have a higher gram weight than similar rings yet we still sell at lower prices than our competitors. How is this possible with the very high costs of precious metals these days? We keep our overhead low and therefore can work with smaller margins. 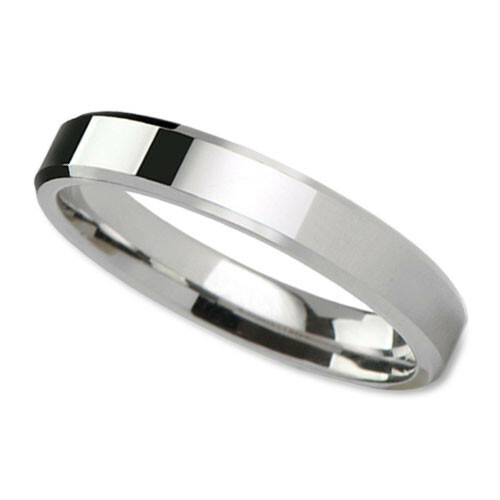 So if you see the same precious metal ring in another site at a lower price, please double check with the supplier to make sure that the weight of the ring is the same as the ring that we are offering. Most of the gold rings we offer are available in in 14K as well as 18K Gold and can usually be made in white, yellow, rose or two-tone variations. Do you love Platinum? 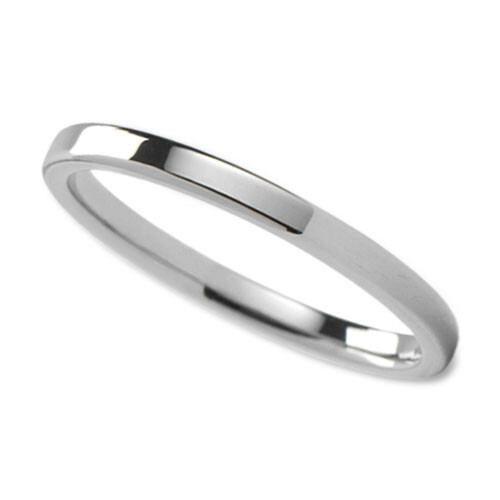 Possibly you need a hypoallergenic metal for someone who is allergic to 14 or 18K gold? 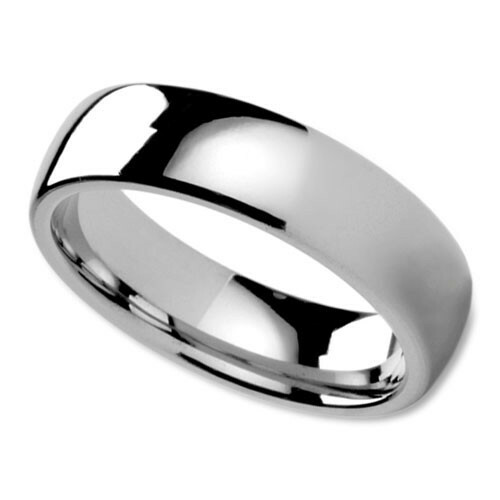 Almost all of our gold rings are available in Platinum as well as Palladium. 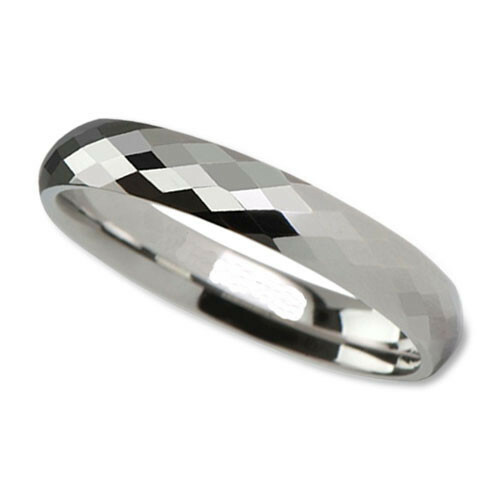 Some of our best sellers are our alternative metal rings. This includes Tungsten, Titanium, and Cobalt. 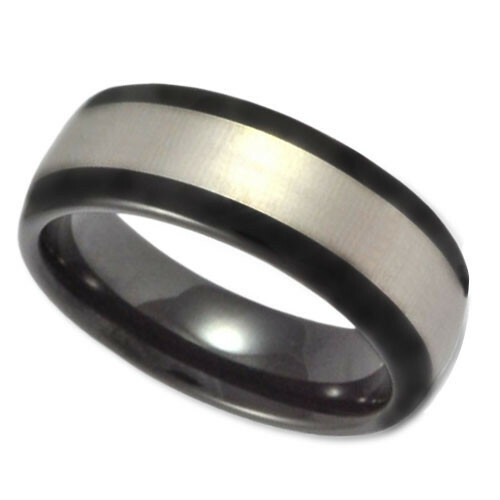 We also offer a very unique version of Tungsten called ‘White Tungsten’. Imagine the look of Platinum at a fraction of the price. Additionally, these resist scratches, are extremely difficult to break, maintain their high polish look for years, and come with our Lifetime Replacement Warranty. 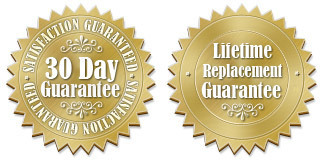 We set ourselves apart from other online ventures by offering the most unique Lifetime Replacement Warranty. You can find many sites that will claim to offer a replacement ring if their ring chips or cracks. We have gone much farther with our guarantee. If any of our Lifetime Replacement Guaranteed rings cracks, chips, breaks, warps or gets discolored, we will replace it free of charge. 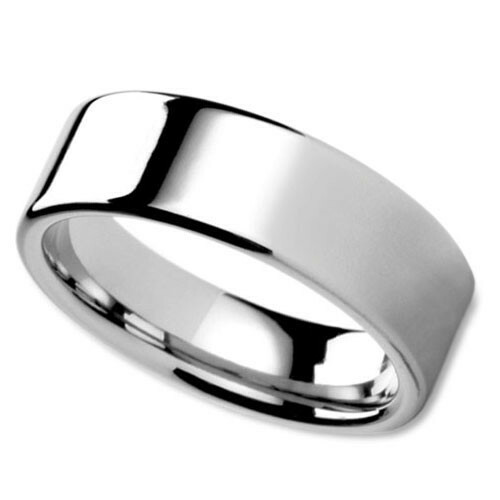 And if you either gain or lose weight, and your ring no longer fits properly, we will replace it free of charge. Have you seen a precious metal ring another website, a jewelry store, a magazine, or on someone’s hand, and want this ring reproduced? Possibly you are wearing a ring for many years and it no longer looks anything like it did when you got married? Our factories can produce just about any ring out of just about any precious metal that your heart desires. 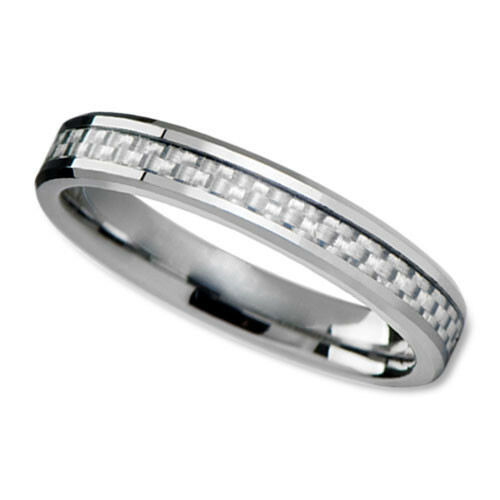 In most cases, our factories can custom produce, in 4-6 business days, just about any ring. We are very proud of the quality of our rings and know that we are offering some of the most competitive prices that can be found. We are so confidant of our quality and prices, we guarantee our products and offer some of the most liberal return policies in the jewelry industry. If you have any doubts about ordering from WeddingRings.net, please call us. We would love to speak with you!